Hello, my name Anthony Reeves,16 years, licensed national Certified/ AMTA professional Athletic sports performance maintenance-rehabilitation massage therapist. Specializing in all indoor/ outdoor sports, runners Cross Fit Body Stretch massage, & owner of this establishment. 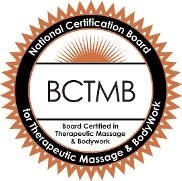 Also Certified in Deep Tissue- Trigger Point, Full body-Leg Stretch therapy -runner repair specialist. My Spirtual total tip to tip body Relaxation Tibetan Energy Release sound touch Healing therapy can assist you in ridding your mental state of mind from everyday stress, fight off minor depression, rejuvenating your body in finding happiness as you explore your inner soul & release all suffering on all levels – physical, mental, emotional and spiritual﻿. A little about myself, Nationally Certified inHealth Fitness-Stretch Therapy Specialist. Sports Massage - Deep Tissue-Runners Maintenance-Rehabilitation Therapist, Former College Baseball, Track & Field Athlete/ Assistant Coach, Ran the Chicago Marathon in 2009 & 2010. Current member of the Athletic Wellingness & Athletic Runners Maintenance Rehabilitation﻿﻿ physcial therapy, Health Profession. I . Received my B.A in Sports Medicine at U.I.C. & M.A in Stretch Physical Therapy/ Psychology. Choi has been working at Energize Sports Massage for over four years. Originally from China, Choi came to the US at the age of four, Became an american citizen two years ago. Into body spirtual Yoga meditation natural therapeutic healing. Great cook, good sense of humor. Service Offered: Chinese Deep Tissue; thai -full body Yoga Stretch-Reflexologist Massage. Has been at Energize Sports Massage for over a year, Received his sports massage certification at Cortiva, AMTA member, very out going, total Cub & Bear fan. Recently got engaged﻿﻿. All at Energize Sports Massage take sports therapeutic practice-body rehabilitation very seriously, My staff are here for you to be the very best in your athletic ability & to excell for you to be the very best without the worry of tendon/muscle injuries. My Home office studio is located on Chicago's Northside in the trendy Andersonville area [5300n] As your personal sports massage therapist or one of my licensed staff, we are here to help you maintain the correct therapeutic massage/stretch exercise & to avoid serious muscle injuries & will enhance your body mass to become stronger & injury free. Energize Sports Massage clientele includes pro's-semi college pro athlete includes members of Northweatern, DePaul, UIC, Loyola, White Sox, Bears, Blackhawks & the Chicago Fire Soccer Team, Neighborhood high school sports teams, City Officials including the Police/Fire department, State Troopers & Theater Groups & just the everyday male who suffers from headache neck & back pain & body stress. Energize Sports Massage for my birthday gift and I was astounded at the professional & quality of therapeutic service that Mr. Reeves gave. 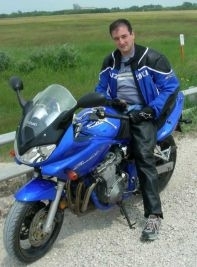 I am a athlete who runs & a avid biker with hamstring tightness quite regularly, the sports/ deep tissue massage was great! I never had the pressure of removing all my stress knots in my upper & middle back. I felt GREAT for days after my massage! Anthony took care of me from the time I came in the door until I had to leave! I completed the client info form, he is into all sports & being a former coach, he made me feel relax, knew about my hamstring & calves injuries & really targeted my sore muscles that gave for an EXTREMELY relaxing and indulging experience, I could barely move from the massage table! 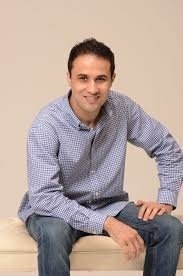 I would recommend this Energize & Anthony if you are seeking a licensed professional sports medicine therapist. Having your personal therapist makes life if you are a athlete so much easier! Rates are very reasonable, in fact . just compared your therapeutic treatment at Energize to those so call north side massage spa, Prices are outragous . Whether you have a problem with your muscles or just want to relax from stress for an hour or more, this is it!!! JUST TRY IT, you'll see for yourself!